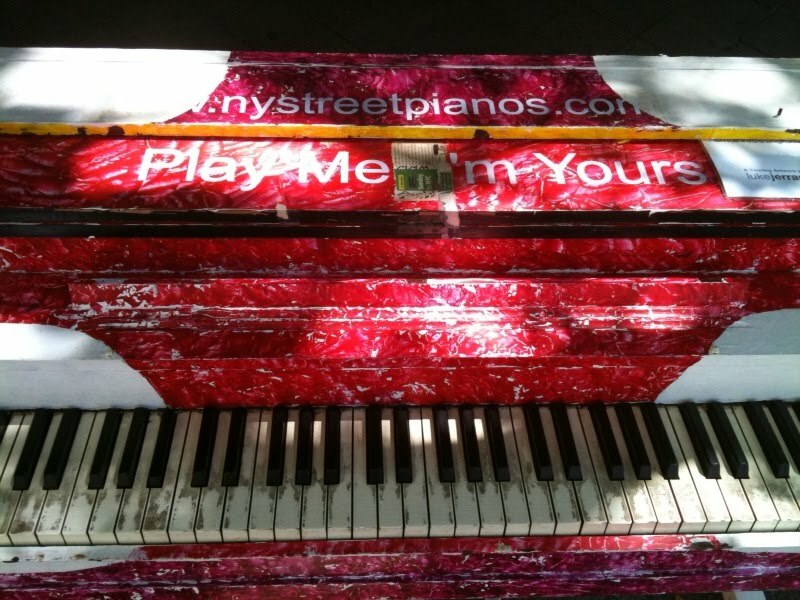 Urban Muser: Play Me, I'm Yours! 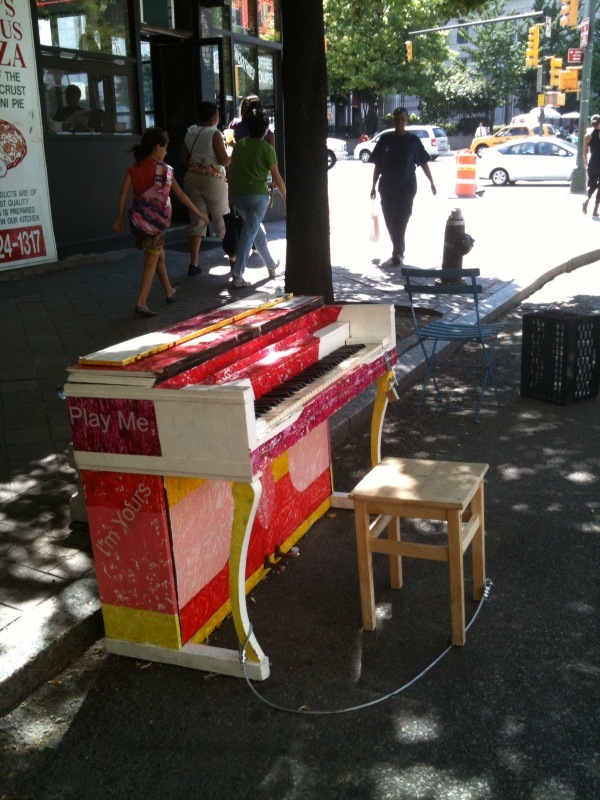 An interesting public art project is on display in New York City and I thought I would share it with you. 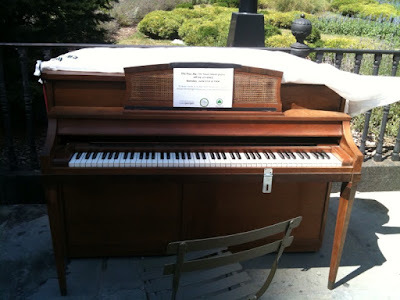 It's an installation of 60 pianos scattered across the 5 boroughs in public parks, streets and plazas until July 5th. People are encouraged to sit and play if they are so inclined. Although I took many years of piano lessons as a child, I didn't think the public was ready to hear me struggle to remember the notes. Instead of tinkling the ivories I decided to take a few pictures. 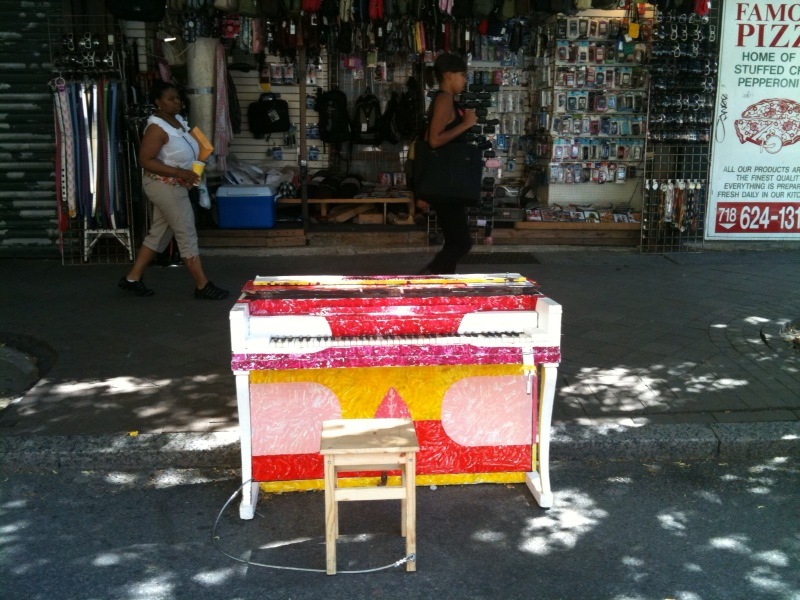 Most of the pianos I have seen are beautifully decorated like this one on Willoughby Plaza in downtown Brooklyn. I also wandered by this piano in a little park in Brooklyn Heights--it's not as pretty but there was someone playing it right before I took these pictures. 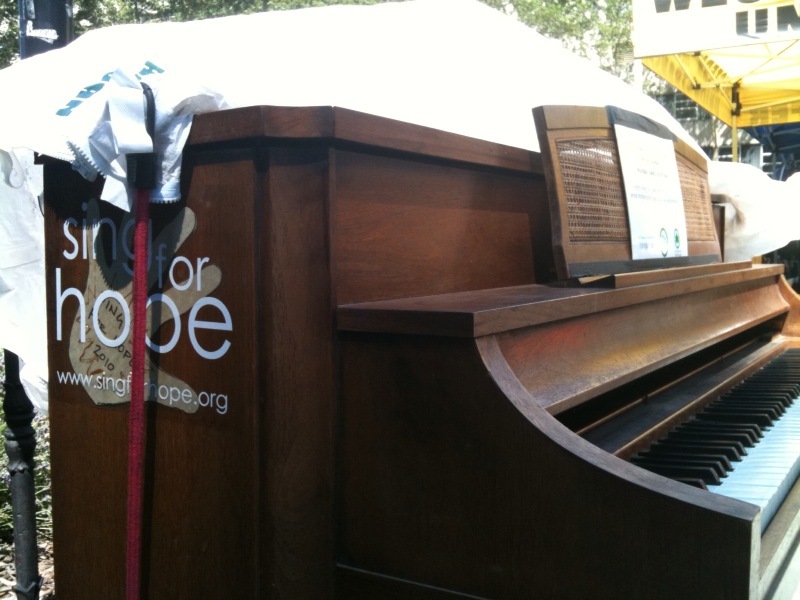 The display is presented by Sing for Hope and is the brainchild of British artist Luke Jerram who has been touring the project globally since 2008. When the display is over in NYC, the pianos will be donated to local schools and community groups. For more info and pictures you can check out the street pianos website. I saw 2 more pianos in Manhattan today, the last day of the exhibit. Both were being played by someone at the time, and one person even had an accordion accompaniment! Yet another reason I need to plan a trip to NYC very, very soon. Is you doggie part Ridgeback??? What a cutie. I have two of my own that I just love.. Your site is great. Love the photos. Hi Nicole--We don't really know what our dog Willow is. We rescued her 2 years ago this week and think she's about 9 years old. She is definitely part shepherd, and who knows what else...maybe lab, hound or even ridgeback?! Thanks for stopping by and following. What a great concept! It's things like this that make me wish I lived in NYC. Thank you for sharing this! That's pretty cool. I never learned toplay the piano but something like that makes me want to learn. Just so that I can participate.